The following article was originally presented at the national conference of the Society for Crypto Jewish Studies in Dallas, Texas July 20, 2014. Mr. Reid Heller graciously allowed us to repost this. What is the Converso Crisis? Converso is the Spanish term for one who has converted to Christianity from Islam or Judaism. The English equivalent is Convert. And the Latin root suggests the extremity of the converso’s situation. The Oxford English Dictionary defines convert as one who ‘turns’ (ie to the opposite direction/180 degrees) or ‘changes into’ or ‘transforms’ himself. Once transformed the converso becomes something new. A corollary of radical transformation is to be unrecognizable to those who knew one before the transformation. In this talk, we will address the problem of recognition, not so much to the living as to the dead, in particular the ancestors. Today, when I speak of the Converso Crisis I am speaking of the crisis of the inner life of a specific group: the Portuguese conversos. The traumatic circumstances surrounding the their conversion produced a subgroup within the Jewish people at large, one distinguished by inner exile, a shattered connection with the Jewish past, and a psychology permeated by exile and sin, initiating a relentless search for symbols and rituals of atonement using the language of Exile, Homeland, Return and, as we shall see, ritual opportunities for ancestral recognition. Although there are at least three important dates associated with mass conversion of Iberian Jews (Seville Pogroms of 1391, Expulsion of 1492 and Portuguese forced conversion of 1497), today I will focus exclusively on the latter, 1497, when the Jews of Portugal were forcibly converted en masse on a single day. How, one might ask, does any human being, and in our case a forcible convert, address the pain of an inner life so radically estranged from its traditional sources? How can the convert restore even a tenuous connection with ancestors and his people’s mythical past so essential to the experience of continuity between past and future and to the very human longing for symbolic immortality? For most of us, the crisis of Iberian Jewry is linked to their expulsion on Tisha B’Av in the summer of 1492. But the expulsion had the counter-intuitive effect of both intensifying the orientation of Spanish Jewry. Those who preferred exile to conversion, a dangerous sea voyage was not the only means of escape. Nearby Portugal opened its doors and, for a fee, gave shelter to half of Spain’s Jewish outcasts. For those who stayed behind, the larger problem was social acceptance in their new identity and specifically the challenges posed by the limpieza de sangre (blood purity) legislation. Limpieza statutes racially stigmatized those with known Jewish ancestry, barring them from certain occupations and public honors. They were classified as Nuevos Cristianos/ New Christians, in contrast to those of old Christian stock. The Limpieza legislation left the conversos of 1492 in a no man’s land, suspended between religious assimilation and permanent racial stigma. Many of them responded to the stigma by acquiring new names and false ancestries, deepening their alienation from their past, both real and mythical. In the confusion from the mid 16th to 17th century, most of the conversos of 1492 successfully at last managed to acquire new identities, assimilate and disappear. For those who left, the choice of exile in Portugal implied a vital connection to Jewish heritage and an abundance of material resources necessary to sustain their commitments. Their willingness to accept exile is the best evidence of that will and those resources. For these Jews in exile, Judaism was avital, non-negotiable part of their dignity and self-awareness. It is precisely this concentration of intensely Jewish Jews who made their way to Portugal in the summer of 1492 that makes the Portuguese situation so poignant and psychologically significant. Expecting the option of exile if worse came to worse, the best educated and most committed Jewish population in Europe, the least likely to assimilate, the most likely to endure hardship, were dragged by armed constables to chapels throughout Lisbon and forcibly, often violently, baptized. It was precisely their prosperity and uncompromising Jewishness that compelled King Manuel to make the choice for them or risk losing an irreplaceable pool of royal wealth. They were, after all, the King’s Jews. To soften the blow of this extraordinary insult to Portuguese Jewish dignity, King Manuel agreed for a period of years not to inquire into the Portuguese Conversos religious habits (“don’t ask-don’t tell”). With the confusion and violence of that strange Easter day 1497 concludes one of the most bizarre tales in European Jewish experience, more Kafka than history, in which a remarkable Jewish community goes to bed one fine evening as Jews, only to find themselves transformed into Christians the following day. Initially at least, they remained in the same homes, with little else changed. Their old institutions and way of life went underground. Hence, when we speak of Portuguese Crypto-Jews in this early period of their new lives, it is necessary to abandon any sense of Crypto-Jews as isolated New Christians hiding their Jewishness from neighbors. Instead we must envision large, coherent communities of Jews whom all knew to be Jews, masquerading as Christians without any sense of Christian commitment or understanding. In that sense, the situation of Portuguese New Christians cannot be more different than those of the Spanish Jews who remained at home. Although the trauma of 1492 created a collective memory for the Jews of Spain, it was the trauma of 1497 that created a new Jewish national identity. Those descendants of 1497 would henceforth refer to themselves as La Nacion. Over the next 4 decades the Portuguese New Christians developed one of the greatest financial networks in Europe, with trading agents in London, Antwerp, Paris, Rome, Ferrara, Ancona and Venice, among many others. In an era when Portuguese wealth flowed out of Africa and the far east, Portuguese New Christian fleets forged new trade routes bypassing the Silk Road and its Muslim rulers who had dominated the Far East trade for 700 years. Small luxury goods, light and easily transported, especially spices, silks and gems, were their specialty. Simultaneously, they engaged in diplomacy at the highest levels in all of the great kingdoms of Europe, including the Papal Court, bribing and delaying the onset of a Portuguese Inquisition, extending credits to the warring kings and ultimately using their wealth to punish the oppressors of New Christians. In 1537, after the House of Mendes had exhausted its power and wealth delaying a Portuguese Inquisition that now appeared inevitable, the young Dona Gracia Mendes embarked for Protestant London and a dazzling career that eventually would take her to the Court of Suleiman the Magnificent. Her departure from Portugal indicates the end of the relative safety of the Portuguese New Christians, La Nacion. The next phase would witness the onset of the Inquisition and a severe oppression that would condemn the once proud Portuguese New Christians to lives of constant fear. Some pursued opportunities abroad in African slaving and ivory, others as men of war in the far east fighting to dominate the spice trade, and others as conquistadors in the Brazilian wilderness pursuing mythical kingdoms and gold. By the middle of the 16th century, some Portuguese New Christians noted the relative quiet of the Spanish Inquisition (in contrast to their own increasingly active one) and claimed their right of return as descendants of former residents of Spain. Their emigration also created opportunities for refashioning of identity and adoption of new Spanish names and biographies. The Spanish immigration continued for decades and by the 1580s (4 generations after 1497) when Spain and Portugal were united under Philip II, Spain acquired a Jewish problem again. The Portuguese New Christians returning to Spain had re-introduced crypto-Judaism. It was during this period that the word Portuguese came to be synonymous with Judio/Jew. When speaking of Spanish Crypto-Jews after the mid-16th century, I mean those Portuguese New Christians who had returned to Spain from Portugal, bringing with them their unique identity born of the Portuguese trauma. For these people the term Spanish-Portuguese does not refer to two communities, rather it refers to a fusion of two cultures living in Portugal, both of whom experienced the trauma of 1497. This is the community for whom the break with Judaism proved to be the slowest, most painful and who were most in need of rituals of expiation, reassurance and reconnection. And now we turn to the fate of two very different Portuguese New Christians and the rituals they innovated in response to that inner challenge. The Portuguese New Christians who made their way to the Ottoman Empire, particularly the Land of Israel. By the 2nd half of the 16th century, the Portuguese New Christians search for security had taken them far beyond Spain and to many of the farthest corners of the earth: Brazil, Africa, India, Indonesia, Philippines, China, Korea and Japan. And those who had returned to Spain had open to them all of the Spanish New World, especially New Spain (Mexico), Bolivia, Peru, Chile, Columbia and the Caribbean. And a few, following the example of their symbolic leaders in exile, Dona Gracia Mendes and her nephew, Joseph Hanasi, looked east to Turkish dominions and ultimately to the land of Israel. In pursuit of a homeland for the New Christians, they purchased the right, from the Ottoman Sultan, to rebuild the walls of the ancient city of Tiberias (according to Maimonides, the city from which Jewish rule would return to the Jewish people). Dona Gracia and Don Joseph subsidized a wool and silk manufacturing center there and booked passage to Ottoman Turkey for the persecuted Spanish-Portuguese Jews trapped in the Papal States, only a small percentage of whom completed the journey to Tiberias. Tiberias was not the only Jewish settlement in the region. More than a generation before, various Sephardim and especially Portuguese New Christians returning to Judaism established an academy and community in the city of Safed. Safed boasted the most eminent Sephardi sages of the age, presided over by the Rabbinic luminary, Joseph Caro, himself a native of Portugal. The Ancestor-Recognition Ritual of the Land of Israel: Seder Ushpizin. Caro was the the most influential Jewish legalist of his time as well as a kind of messianic politician. . He had educated and supported in the 1520s a young Portuguese New Christian by the name Solomon Molcho who in 1531 led a Messianic campaign to raise a New Christian army to reclaim the Land of Israel from the Turks. Molcho’s movement failed and he was burned at the stake for Judaizing. But 30 years later, now in Safed, Caro discovered and cultivated another young man with Messianic ambitions, Isaac Luria the Ashkenazi. Like Molcho 30 years earlier, Luria had a profound spiritual gift and the magnetism to draw learned and serious men to his circle. 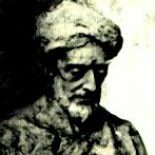 During his brief but remarkable career (Luria died in 1572 at the age of 38), he established a revolutionary mystical movement based on the teachings of the Zohar and his own teachings about the sanctity of the land, all designed to awaken a profound love of Israel and an expectation of a Messiah to gather the exiled Jews, especially La Nacion, from all ends of the earth.. His followers in Safed were primarily aging Sephardi refugees from 1492 and 1497 and their descendants who sought through Luria’s mystical rituals a mean of compelling G-d to send a fully human Messiah to re-constitute a Jewish Kingdom and its classical institutions. In a book cataloguing Luria’s religious innovations most of which are associated in some way with redemption of the Land of Israel, Luria lays out a ritual of peculiar importance to us. In that book, Chemdat Yamim (Days of Delight, referring to holy days), Luria draws on some lines from the Kabbalistic commentary known as Zohar to innovate a mysterious new ritual for the festival of Sukkot, a holiday in which Jews are required to dwell in simple huts to recall their ancestors wanderings in the wilderness after the Exodus. Luria required his followers to invite certain guests/ushpizin to dwell with them in the Sukkah and share a ritual meal. There are a total of 7 ancestral guests, one for the first 7 days of the festival: Abraham, Isaac, Jacob, Moses, Aaron, Joseph and David. The final two guests/ushpizin are messianic figures. Why do these messianic guests play such an important role in the Sukkot celebration? Luria’s innovation is a response to the question that haunts Spanish Portuguese followers whose families went through the trauma of 1497, i.e. whether the forcible conversion made them permanently unrecognizable to their ancestors (ie created an irreparable rupture with the past). The sacred chain had been cut and many believed that there was no return. This fear permeates almost all 16th century attempts to reestablish the ancient Jewish institutions of Israel, including the Rabbinate, which was necessary to assign rituals of expiation (ie atonement) for the sin of apostasy. When examined through the lens of the shattered ancestral bond, particularly in the case of the Portuguese, Luria’s innovation of inviting the Jewish patriarchs to participate in a communal meal restored the shattered confidence of the former New Christians and helped heal the lingering inner wounds of 1497. Ulu Ushpizin ilain kadishin (enter exalted holy guests)…. Tivu, tivu ushpizin ilain, tivu tivu ushpizin kadishin, tivu Ttvu ushpizin dimheymnuta (be seated, be seated honored guests…holy guests, faithful guests). Each evening a new sacred ancestor is announced and the evening celebration is devoted to the qualities the Zohar assigns to him. With these words, the ritual transforms the Sukkah meal into a mythical space in which the founding ancestors dwell and eat with the celebrant, embodied proof that the chain of tradition is intact, and that the celebrant is worthy of ancestral recognition. This meal with the ancestors is the most ancient and universal of all religious rituals, spanning every culture and every period. Luria’s Seder Ushpizin is a powerful, embodied ‘therapy’ for the fragile and guilt-ridden descendants of the Portuguese trauma, restoring confidence in their connection to the mythic Jewish past, a symbol of the reconstituted chain of tradition and an end to physical exile with the restoration of a third Jewish Kingdom. The Ancestor-Recognition Ritual of the Iberian New Christians. The New Christians carried on their lives suspended between the desire to assimilate thoroughly and the grinding indignity of racial prejudice (limpieza de sangre legislation). For these former Jews, the Jewish past was an ominous burden. Yet many continued to live in the communities of their ancestors, commities like the mountaintop city of Avila (the Spanish equivalent of Safed) and the place where Moses de Leon first published the Zohar in 1290, the book which was the source for Luria’s Seder Ushpizin . By 1580, four generations of New Christians had come and gone since the mass conversions of 1492 and 1497, four generations for whom a Jewish past had been reduced to a symbol of dishonor. King Philip II, despite his reputation as a dour reactionary, took notice of the suffering of the converted Jews and Moors whom he hoped to assimilate quickly for the good of the state. He therefore supported clerical careers for talented New Christians including the Jesuits and the Decalced (ie shoeless) Order of St. Theresa. St. Theresa of Avila was herself a descendant of New Christians. The same is true of her protege, St. Juan de la Cruz, John of the Cross. They ministered to communities like Avila that included large numbers of New Christian families. In some cases, the New Christians had ancestral memories of Jewish rituals, for example the lights of Chanukkah around Christmas-time or open-air booths (Sukkot) at harvest time. Following the lead of St. Ignatius who advocated a 9 day novena in the weeks leading up to Christmas, St Juan in 1580 innovated a ritual that would draw on those ancestral memories while simultaneously confirming the New Christians in their Catholic faith. They would march in processions at night, with torches to reenact the flight of Joseph and Mary from Nazareth to Bethlehem (Joseph’s birthplace), in commemoration of the census ordered by Augustus and Herod. The reenactment of a flight from a temporary home to one’s true birthplace was a scarcely veiled message that Jews, despite oppression and tyranny, could indeed return home, if not to their ancestors Abraham, Isaac and Jacob, than to their divine co-religionist, Jesus of Nazareth. It was a brilliant and subtly subversive ritual whose meaning would have been as obvious to thoughtful New Christians as it was impenetrable to Old Christians. Remaining invisible in plain sight was one of the truly remarkable strategies of the New Christians, best symbolized by their patron saint, the eyeless Santa Lucia. Adapting the New Converso Ritual in the New World. Earlier in the year 1580, Philip II in exchange for a substantial payment, made a unique land grant to Admiral Luis de Carvajal as well as permission to bring a group of his choosing (in this case, Portuguese New Christians) to settle northern Mexico and a portion of south Texas as far north as San Antonio. Regrettably there is no time to share the details of this dramatic story that proved so fateful for the history of the Rio Grande, but let me summarize by saying that in 1580 the foundations of a New Christian Kingdom were established on both sides of the Rio Grande and that in the coming 2 centuries, the region would become a magnet for the far-flung Portuguese New Christian diaspora. The Rio Grande would become, in effect, a New Christian River with a distinctive culture and set of folkways. One of those folkways most associated with the region is the Avila version of the ritual innovated by Juan de la Cruz that same year, now known as Las Posadas (the Inns). The first account of Las Posadas in Mexico comes to us from 1587, in a settlement not far from Mexico City, where a Fray Diego adapted Juan de la Cruz’s 1580 pageant for use with the Nahuatl and other indigenous peoples. Instead of St. Juan’s long winding processions, Fray Diego had his pilgrims march from house to house within a traditional Indian Pueblo. Mexican Indians celebrate the same way today, with the Las Posadas festivities centered in the Pueblo’s or town’s main square. But this indigenous form of Las Posadas is not the one adopted along the Rio Grande. There the procession laces across riverbanks and fields, going from rancho to rancho, as St. Juan first conceived it. Who knocks on my door so late at night. The pilgrims respond: In the name of Heaven I beg you for lodging- my beloved wife can no longer travel, and she is weary. Instead of celebrants welcoming divine ancestors, this ritual has roles for both the owner-celebrant and the divine guests. And the divine guests are not recognized, rather they are initially rejected, over and over again. And then at a moment of despair for the divine pilgrims, there is a sudden flash of recognition, they are recognized as divine, the tension is broken, and the holy guests are no longer mere refugees, they are transformed through recognition into The Queen of Heaven, her consort and The God-Child. The trauma and dishonor of conversion is replayed in this recognition ceremony as a glorious transformation in which the Converso is first dismissed than accepted by his ancient kinsmen (at first acting with the same callousness as Christians) to the heights of Jewish glory. But in order to avoid offense to Christian sensibilities, Jews rather than Christians are the ones who reject the holy pilgrims. The dishonor of conversion is thus healed, the New Christians accepted and the stigma of limpieza legislation momentarily forgotten as they are honored by their Jewish kinsmen. The convert’s break with the ancestors is thus repaired and the sacred chain of Jewish ancestry from the line of Abraham and David restored. The converso is becomes both Christian and Jew in a new and thoroughly embodied sense and recognized as worthy of Christian honor, though scarcely anyone but a New Christian would recognize that fact. The Las Posadas ritual accomplishes a metaphysical assimilation of opposites (Christian-Jew, purity-impurity, debased and exalted, saved and damned) that affirms all aspects of the converso persona and replaces estrangement with a glorious reconciliation of their seemingly incompatible religious-ancestral identities. Las Posadas draws on ancient rituals of hospitality in western classical and biblical world as well as the motif of the meal with the ancestors, but its spiritual-therapeutic value is to validate the inner life, soften the estrangement, of the New Christians, especially the Portuguese New Christians of the Rio Grande. These are the people of La Nacion who carry on Juan de la Cruz’s torch lit processionals imitating Hanukkah lights, spanning 9 days, the total number of days of the Sukkot-related holiday was celebrated in Spain, and celebrate a dramatic moment of ancestral suffering and recognition, all acted out at the doorway, next to which is a small thatched creche, not unlike a sukkah, containing images of a poor and oppressed Jewish family, the same Jews who brought salvation to the Christian world. The two rituals, Seder Ushpizin and Las Posadas, were fashioned in an ominous time for New Christians, at the peak of the counter-reformation when the fires of the inquisition burned with renewed intensity and the return of Portuguese New Christians to Spain raised fresh suspicions about the Converso Problem. It was also a time of enormous audacity and hope when heroic spiritual geniuses on the order of Isaac Luria and Juan de la Cruz were reviving ancient faiths. Less well known to current historians is the series of movements throughout the 16th century to create New Christian kingdoms, dominated by renaissance politicians like Dona Gracia Mendes and her nephew Don Joseph Nasi, and immediately thereafter, Luis de Carvajal and his famous nephew, Luis de Carvajal, el mozo (the younger). The psycho-historian, Robert Lifton, in his work the Broken Connection (p 27) in his comments on ecstatic conversion (which may equally apply to traumatic conversion) observes, “One never returns to exactly the same inner structure of the self (following conversion). Having once broken old forms, one sense that they can be broken again, or at least extended beyond earlier limitations…A personal model is thus constructed for the symbolic reordering necessary to psychological change…That whole sequence can be regularized in cultural ritual….” The trauma that founded La Nacion, those who remained Christian as well as those who returned to Judaism, introduced a new kind of interior life distinguished by new vulnerabilities, new energies, new longings, as well as the capacity for future inner shattering and reconfigurations. The Portuguese New Christians of the Rio Grande, in particular, responded to the founding trauma of 1497, so that one can say of those who did not return to Judaism, they were neither Jews nor Christians, or perhaps both, something new, almost modern. The qualities of modernity, a stress on the present and future, a de-emphasis of the past and tradition, and above all adaptability. The Portuguese New Christian pioneers of the Rio Grande moved from city life to frontier, from mercantile pursuits to a toughness and self-reliance far from authority and symbols of the state. There on the Rio Grande in particular, that adaptability and detachment from oppressive religious tradition transformed the descendants of the trauma of 1497 into something new, what four centuries later we have come to think of as American. And they did so in many cases with a living connection to their ancestors who had not entirely forgotten them. The title Song from a Withered Limb comes from a song by Leonard Cohen called By the Rivers Dark that is a reworking of psalm 137 (If I forget thee Jerusalem, may my right hand wither). Cohen takes the psalm a step further, he imagines that Jerusalem is forgotten and his right hand has withered (roughly, the converso situation), so the only thing that one can still remember faithfully is Babylon. This is the converso logic I am working with to show how Jewish memory is absorbed and re-expressed in the Portuguese converso world. I gratefully acknowledge my indebtedness to the work of Salo Baron, especially Volume 13, Social and Religious History of the Jewish People and to the work of Yosef Hayim Yerushalmi the great mapper of the inner life of the descendants of Portuguese conversos. For further exploration of a timeless ritual context of Las Posadas and Seder Ushpizin, see Virginia Herrmann’s and David Schloen’s In Remembrance of Me (Feasting with the Dead in the Ancient Middle East). Reid Heller is an adjunct professor of Jewish Studies in the Philosophy Department of University of North Texas. In 1989, he founded the Classic Jewish Text Seminars, an egalitarian, non-lecture based format popularizing the study of classical Jewish literature by non-specialists. In 1994, he co-founded, with Dr. David Boltz, the Dallas Virtual Jewish Community (dvjc.org), one of the first Jewish community websites. In collaboration with Dr. Valerie Hotchkiss, he co-founded the Bridwell Judaica Lecture Series at the Perkins School of Theology Over the decades he has served as officer and director in numerous nonprofits including the DFW Refugee Interagency, American Jewish Committee, Dallas Jewish Historical Society, the Beyt Midrash of North Texas and Three Stars Jewish Cinema. For the last decade he has worked with Dr. Jeffrey Gusky, fine art photographer, to tell stories about the origins of the modern city and the modern world including the origins of Romanian fascism, Nature and the Modern City, WW1’s cities of mass destruction and the Origins of the People of the Rio Grande. His article (with Ana Cristina Remundo), La Sion sobre el Rio Bravo appeared in the October-November issue of Nexos magazine. He is working on a novel about the American Civil War on the Rio Grande. Reid is married to Karen Heller, flamenco artist and genetic counselor, and the father of Ilana Heller Nishli and Naomi Heller. He practices law in Dallas, Texas. He can be reached at reidheller@gmail.com. This entry was posted on September 5, 2016 by rambam442013 in Crypto-Jewish History, Sephardic History and tagged Anusim, Christianity, Conversos, Iberian Peninsula, Judaism, Las Posadas, Marranos, Reid Heller, Spain, Spanish Jews, Spanish-Portuguese Jews.